Ever watch a car show on TV and see them grinding and welding on a car right next to a engine being built? While part of the normal day to day activities at any garage, metal particles flying thru the air and landing on a motor being assembled is not a good idea. At Troxell's, we believe that if a engine is kept clean during the assembly process, the engine will provide many years of enjoyment down the road. 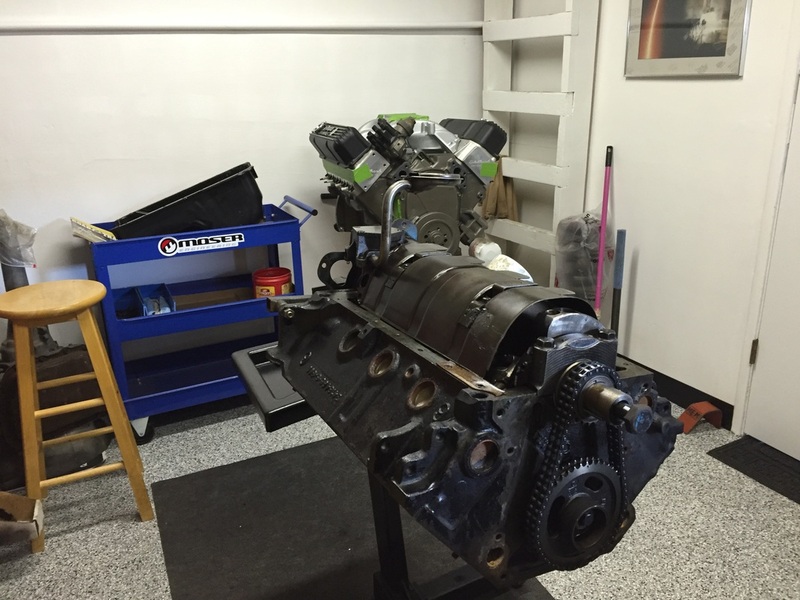 That is why we designated a section of the shop solely for engine assembly. This portion of the shop is away from the main garage area, and is used for the inspection and assembly of engines. Below are 2 engines with protective bags removed, one awaiting parts and another awaiting disassembly.